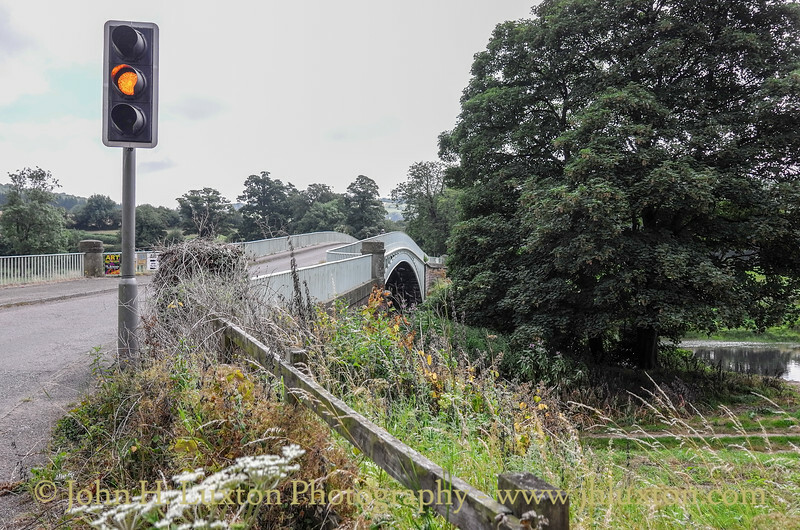 Bigsweir Bridge is a road bridge constructed in 1827 crossing the River Wye, straddling the England / Wales border between the parish of St. Briavels, Gloucestershire, England, and Llandogo, Monmouthshire, Wales. 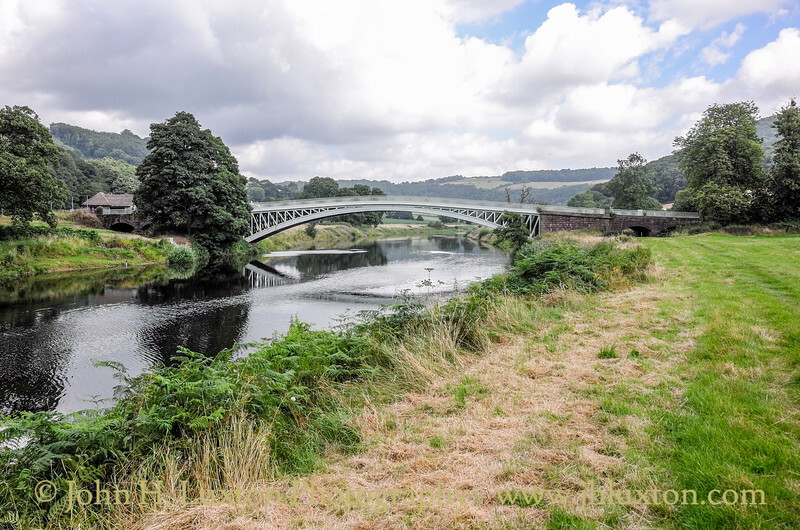 It carries the A466 road, and is located about 2 miles (3.2 km) north of the village of Llandogo, 2 miles (3.2 km) south of Whitebrook, and 3 miles (4.8 km) west of the village of St Briavels. 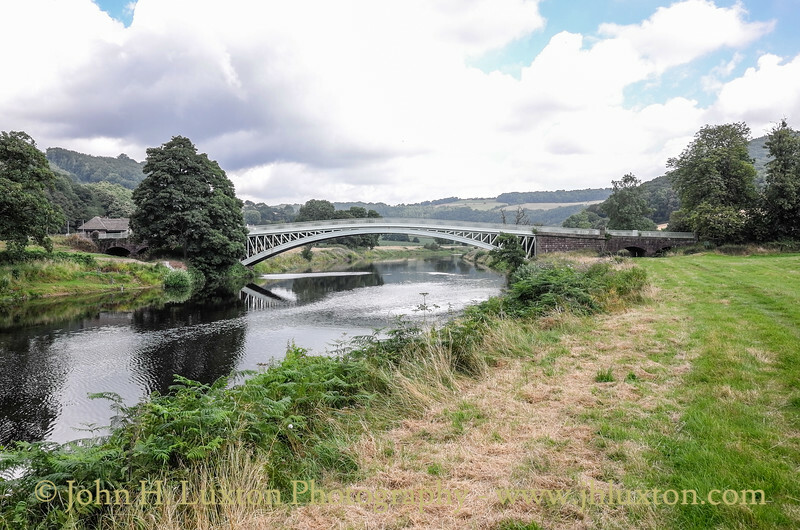 It is the Normal Tidal Limit (NTL) of the River Wye, and navigation below this point falls under the jurisdiction of the Gloucester Harbour Trustees. 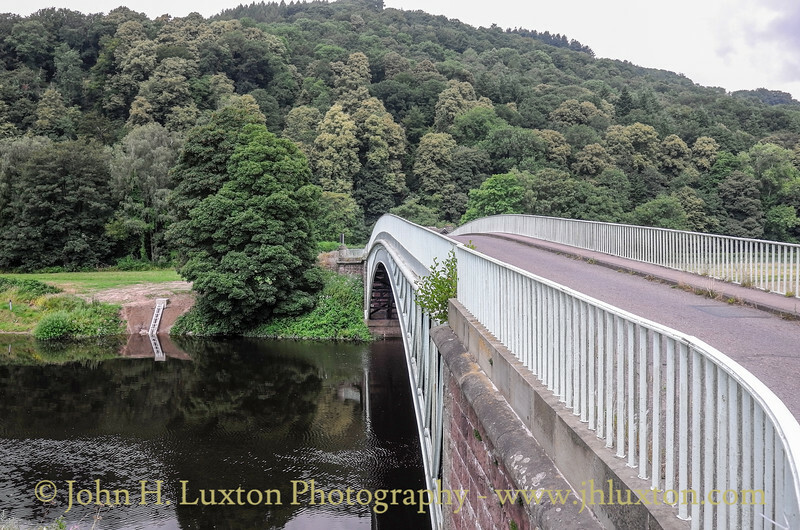 The elegant cast iron road bridge was built in 1827 as part of the then new St Arvan's to Redbrook turnpike road constructed up the lower part of the Wye valley between Chepstow and Monmouth. The bridge connects the English and Welsh sides of the river, with an abandoned but recently restored toll house on the Welsh side. 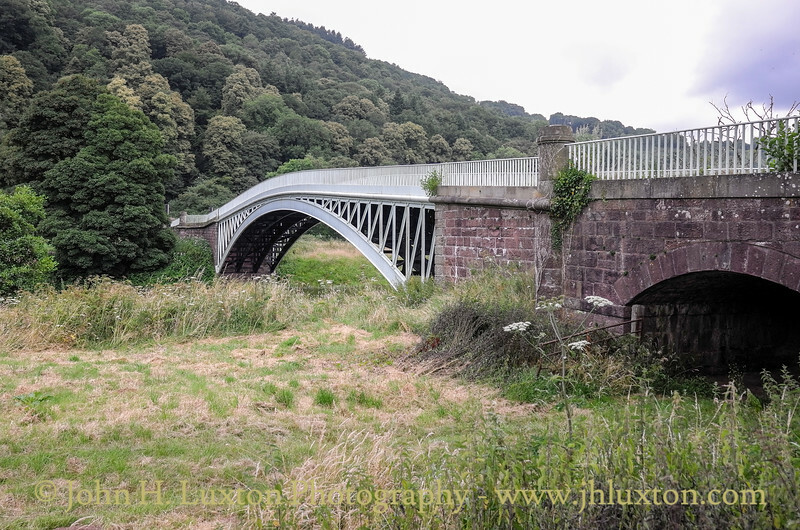 The bridge comprises a single arch of 50 metres (55 yd) , and was designed by Charles Hollis of London and cast at Merthyr Tydfil. A pair of stone flood arches were added at each end some years later, doubling the length of the bridge. Because of its narrow width, modern traffic using the A466 is controlled by traffic signals at either end. 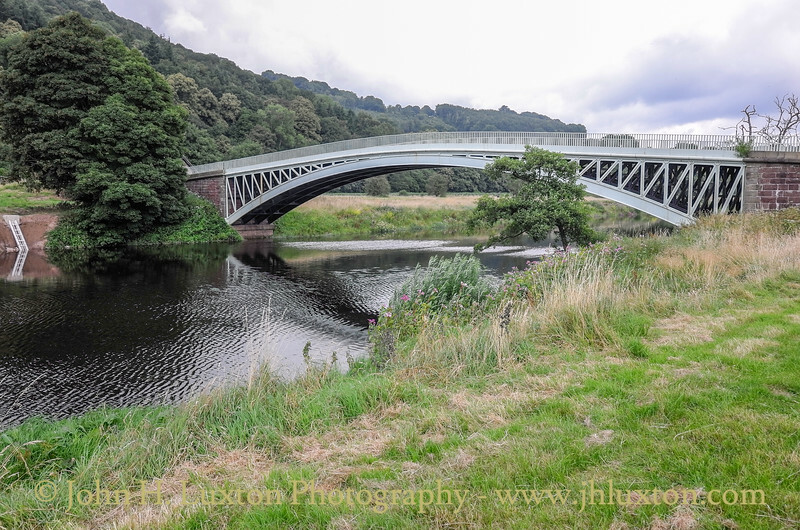 Bigsweir Bridge became a Grade II* listed structure in 1988. 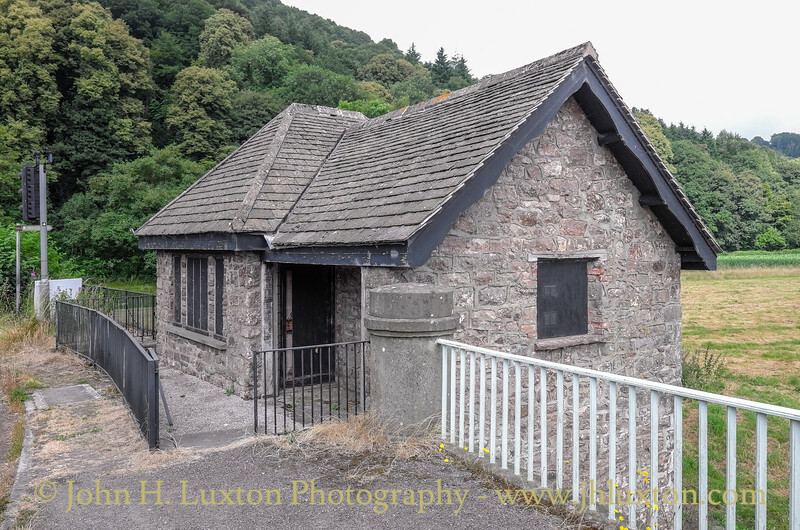 The Toll House was restored by the Manpower Services Commission Youth Opportunities Project in 1981 – however it is unused. 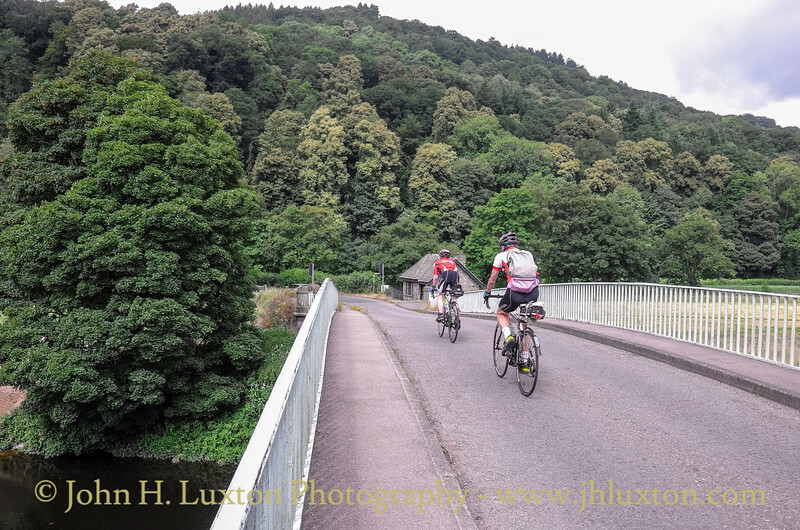 View from the Monmouthshire side of the River Wye. 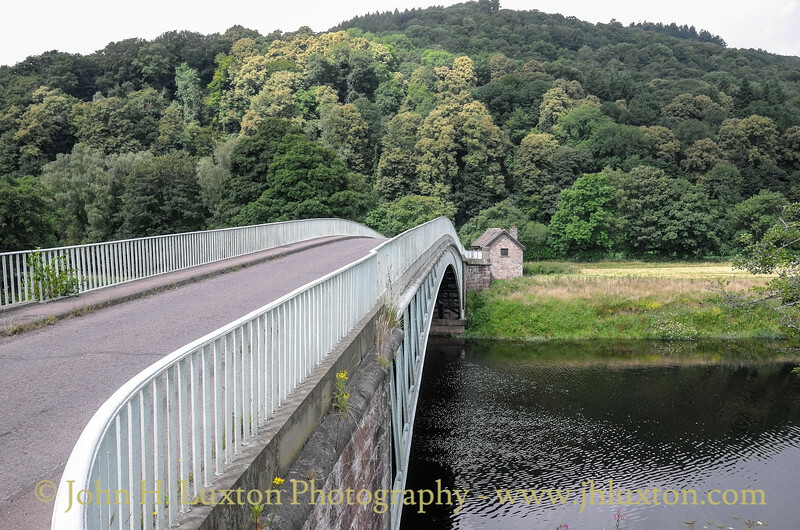 View from the middle of the bridge looking towards the toll house located on the Monmouthshire side of the River Wye. 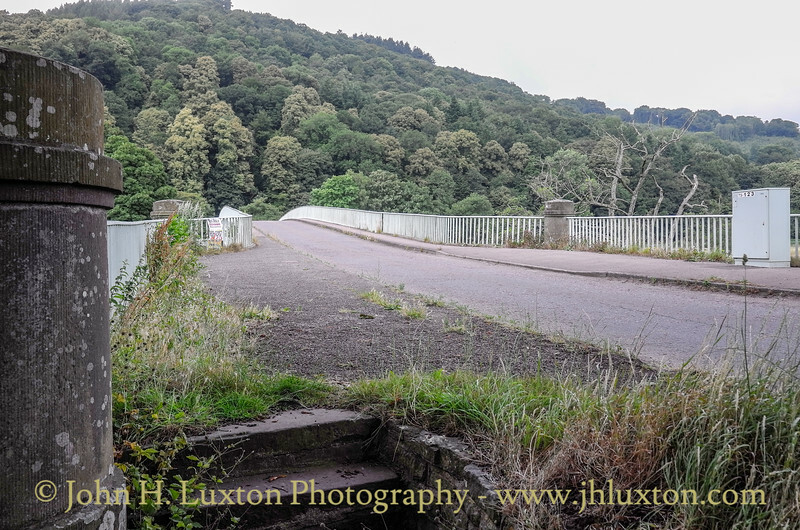 View from the Gloucestershire abutment towards Monmouthshire. The Gloucestershire abutment showing one of the flood arches which were added after construction. 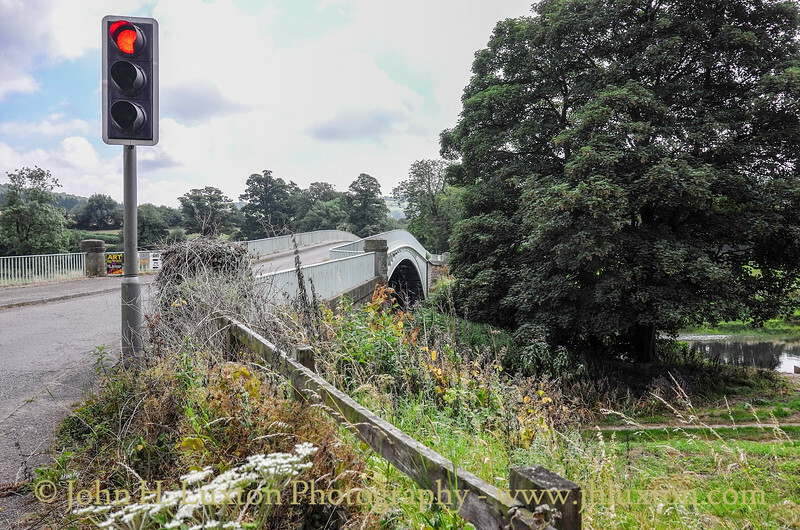 View from the Gloucestershire side of the bridge. 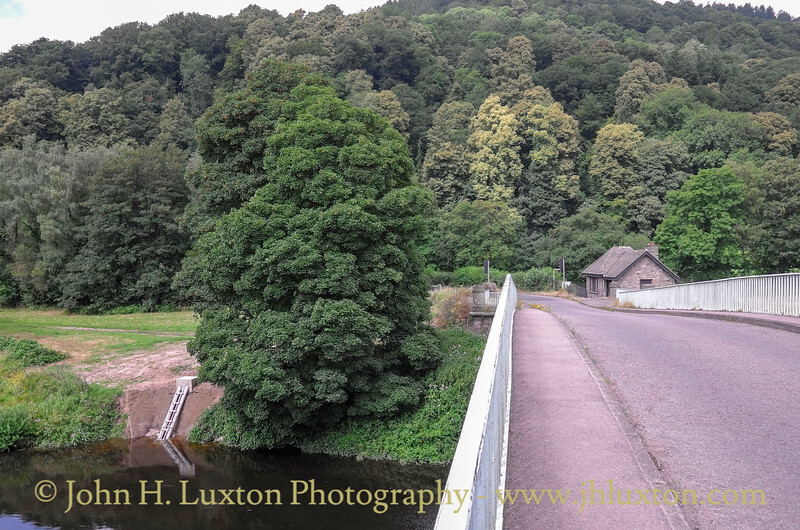 The upstream side of the bridge looking across to the toll house which is on the Monmouthshire side of the bridge. 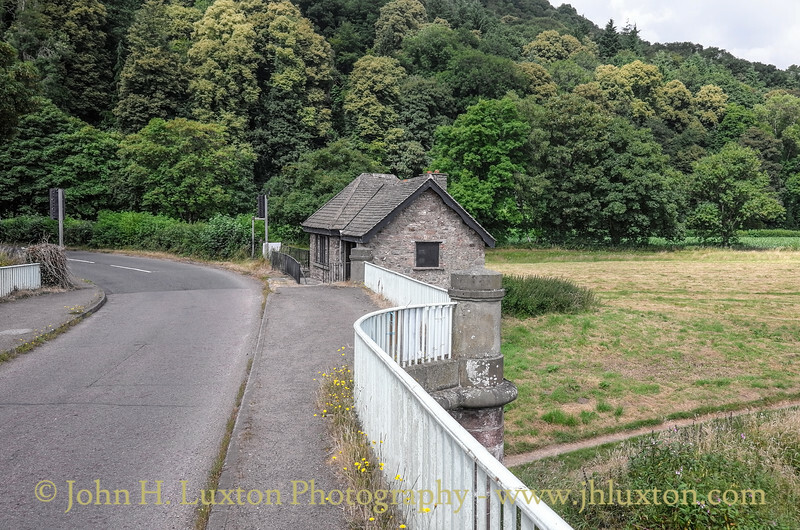 The toll house which is located on the Monmouthshire side of Bigsweir Bridge. The toll house restored in 1981 is well maintained but having passed by almost every year I can't recall it being used. It would make an excellent holiday home / self catering let. 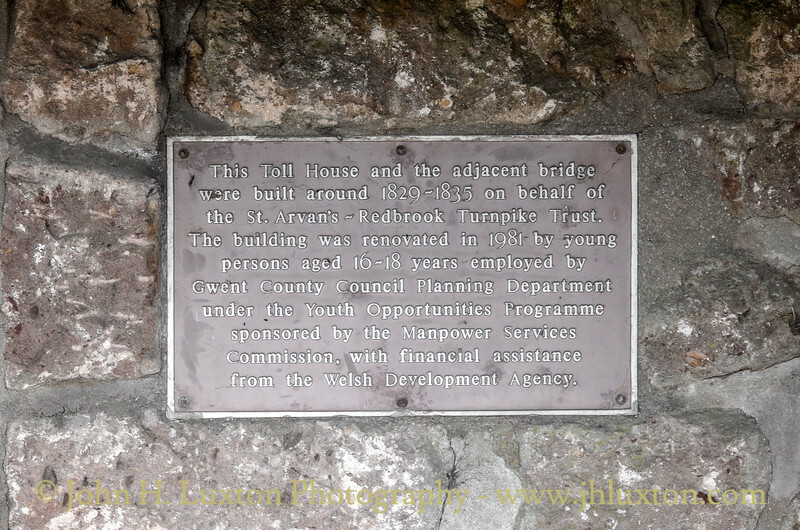 Plaque commemorating the restoration of the toll house.